Today the companies need the help of Post office or parcel service to send the accounts or bills, to get their packages shipped, and also to promote their businesses. For these type of companies, the United States Postal Service provides two products. One is the priority mail, and another one is First-Class Mail. These services are let the businesses to send things like delivery to the customer, New Year postcards, customer-ordered items, etc. Both First-Class Mail and Priority Mail are the best way to get the distribution loaded and delivered, but these two services have different delivery time. So in this article, we will discuss on USPS priority mail delivery time. That means the time it takes to ship the packages and mail. So shall we start? HOW LONG DOES USPS PRIORITY MAIL TAKE? As the USPS approves, the Priority Mail takes on an average one to two days to arrive packages. With priority mail service, you can mail items that meet the specification of specific size, and it delivers in one, two or three days. This service provides free boxes, envelopes, and labels, for specification limits. It delivers mail works for six days a week that is from Monday to Saturday, and it offers Amazon and Priority Mail Express items delivery on Sunday. U.S. Postal service only holds the package or the time of shipment, if they found doubtful in the shipment in their calculations. If the customer gives the packages at the office in the business hours, US Postal Service sends it on the same day, but if the customer leaves the packages after business hours, then it might take one more day so a little longer time. A speed of the Priority mail, also depends on the distance, too. If one sends the packages to US location, then it arrives. But if you want to send the package outside the country then, it takes more time than previous one case. There are also some parcels that may take much longer time to reach because of the reason for mailing postponements. It happens when it comes Sunday in between because Standard mail or package delivery does not take place on Sundays and if you drop your package just before postal holidays then also it may be a reason for the delay as USPS also keeps an off on all the federal holidays. The postal service holds the packages in shipment on holiday, and because of this, your package or courier get a delay. Many such cases have been logged previously particularly in the days around the festival of Christmas. Due to the holidays, the priority mail time gets disturbed, and shipments go on hold which creates a massive backlog. When the USPS starts working after the vacation, the work becomes confused, and due to the delay, the packages arrive much after the probable time. Sometimes extreme adverse weather conditions can cause delays as well. Weather delays have also been a noteworthy contributor in disrupting the working in the past as well as a present. But the good point is they deliver in the miserable weather situations also. But at times when the weather conditions are critical, it leads to the national catastrophes. At that time, they stop the delivery of packages to reach their destinations. Mainly when the endpoint is part of the affected area, then it is not possible for the shipment to reach on time, and cause trouble to give guaranteed shipping times. For the suitability of the clients, the USPS also offers Delivery Approval on Priority Mail packages. The customers who want to guarantee the delivery time can buy this service of Priority Mail packages for Delivery Confirmation. With this Delivery Approval service, the customers can track the status of their package. It is very to check, a customer has to log-in in the official website of USPS and finds the option of tracking the box and enter the tracking number, and in few second he/she will get all the information about their package. This feature will show you the precise information of the place where the package is placed in transport currently. Even after delivery, it will also notify on the successful delivery. So, in short, using this feature a user will self-track their parcel and also know the speed of priority mail service. Some corporates are using the First-Class Mail in place of Priority mail because with the First-Class Mail service, and you can send letters, envelopes, postcards, thin bills, etc. that are comparatively smaller and thinner in size. Still, you can also give documents that are slightly heavy in size and package because its limit is up to 13 ounces of the First-Class Mail service. The commercial customers also start using the First-Class Mail Commercial Plus who send packages frequently. First-Class Mail Commercial Plus allows the packages that have a load of up to 1 pound. 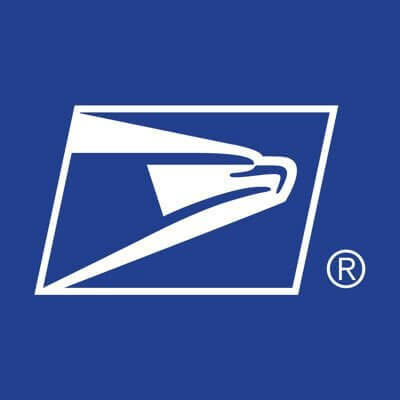 But to use this service, you must send some fixed number of packages every year that set by USPS, but the corporates who do not want to commit this number of packages can use Priority Mail. After opening it enter a zip code and find out how fast is your priority shipping. With the help of this map, you can know the locations where it takes one, two or three days for arrival of your packages. In this box, you have to enter the three or a five-digit ZIP Code correctly that you are shipping. Why I am saying enter correctly because the wrong zip code may mislead you so double check it before getting a result. After entering the zip code it will show you the status of your shipment, and so you will know the shipping time from it. You can also zoom and drag the map from the left side of the Delivery Map page to look at the close-up and get a clear vision of the map. In this map, you will be able to see the area you are dispatching to, also the United States, Alaska, and Hawaii territories that get Priority Mail service. It’s all about USPS priority delivery time. We hope you gather all the information from it. After reading it if you find any doubts or want to give any suggestions then leave your comment in the comment box. If you like this article, then share it as much as possible. Thank you! USPS Hold Mail Request in 2019: What’s the Process? Here at USPSPoint.com, we provide information related to united states parcel service and its services. Hence, we created this blog to solve your problems related usps.